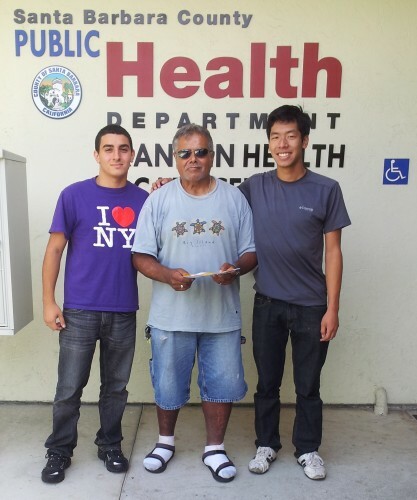 The Companion Care program matches trained volunteers with a homeless person to streamline the process of making and attending medical appointments. With a goal of improving the overall quality of health of this patient population, the Companion Care program is a student-initiated and student-run effort under the mentorship of key advocates in the local community. The benefits of Companion Care are not only humanitarian in nature, but also economical. Untreated chronic illness can eventually develop into complex medical issues that demand countless healthcare resources. Proper management of chronic illnesses and preventive care can play a major role in reducing the burden that these complications place on an already burdened healthcare system. With the help of Companions, the local homeless can seek regular treatment for their chronic conditions and manage them before they become painful and costly emergencies. We seek to companion the homeless in their pursuit of a better life. From teaching them computer skills, to helping them gain social security and welfare benefits, companions seek to empower the homeless through relationship building. Companions will be there every step of the way, standing in solidarity, and together we can overcome the barriers to healthcare that the homeless experience.